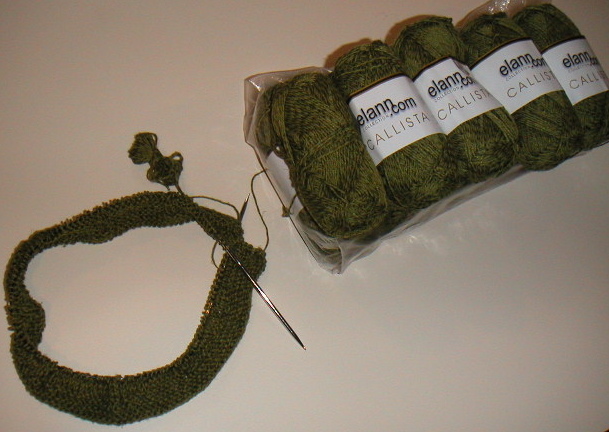 I got home Friday and, to my surprise, the yarn I ordered from Elann was waiting for me! I swatched Friday night with size five and six needles. My stitch gauge was right on with the fives, but my row gauge was slightly off. I didn't think that would be too hard to correct, so I went with the fives. 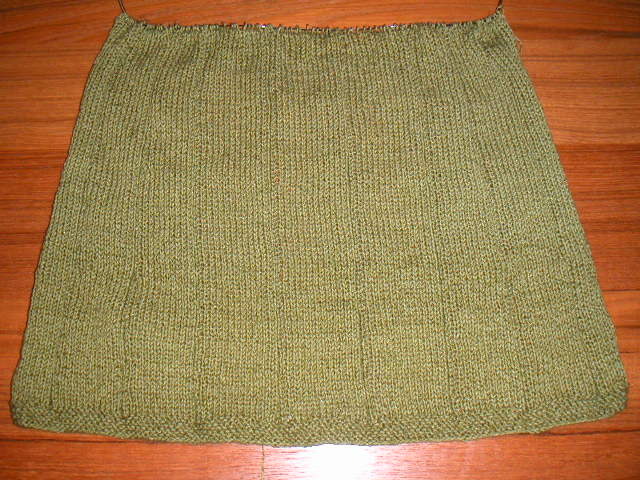 This project calls for a double strand of yarn to create the tweed effect, but I'm only using a single strand. I worked on the project a lot during the remainder of the weekend and am almost to the waist.